It is in our nature to be competitive. Whether it's sports, grades, or online games. Gaming has already become part of our lifestyle. Whether it’s the traditional games like cards and table tops or digital games like computer and mobile applications, it is undeniable that gaming is more than just a pastime activity now. It is a way to bond with our friends and family and it has even become a source of income and job through professional e-sports and game development. This year, we are bringing gamers of all ages under one roof as we gather together for a celebration of one of the biggest gaming convention in the country. 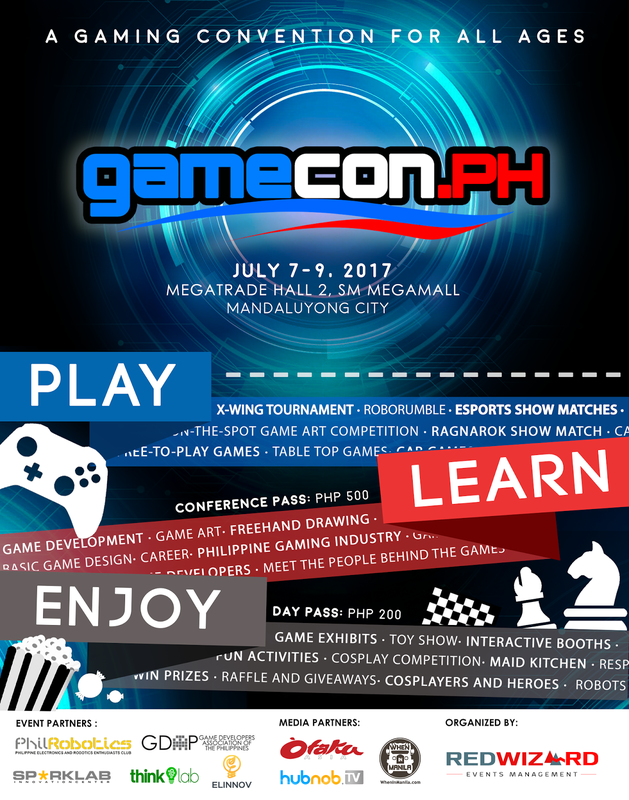 Gamecon Philippines is a 3-day gaming convention happening on July 7-9, 2017 at the Megatrade Hall 2, SM Megamall, Mandaluyong City. It is a 2-part event, which features a conference on July 7 and an exhibit and trade show on July 8 & 9. The workshop will feature notable local personalities and key players in the industry of Game Art, Design and Development. 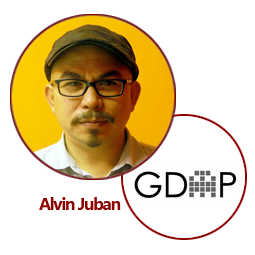 Here, guests and participants can learn about asset creation, game design and basic game development facilitated by the people that put the Philippine Gaming Development on the global map. This is open to all high school, college students and professionals who would like to jumpstart their careers in game development. This is in partnership with Game Developers Association of the Philippines. There will also be an exhibit and trade show where everyone can learn more and play games from all shapes and forms such as digital (consoles, desktop, and mobile), table top (board, card), robotics, toys, up-and-coming game technologies, and so much more. Visitors will be treated to an exciting experience as they get to try out and play featured games from various gaming companies for free! We will also be featuring competitions during the exhibit, such as the X-Wing Tournament (Star Wars table top game) and RoboRumble (Robot combat), Cosplay, Game Art, several electronic game show matches and more. So, what are you waiting for? Join us as we play, learn and enjoy in the biggest gathering of gamers! If you are interested to attend the workshop and plenary or the exhibit hall pass you may purchase the ticket online at discounted rate until June 30. For more details, you may visit their website at www.gamecon.ph or follow them on twitter and facebook @gameconph or contact 0917 9048777 and 0920 9734926. Gamecon Philippines is organized by Redwizard Events Management. 1 comment on "This July 7th to 9th: Play, Learn and Enjoy Games at Gamecon Philippines"
my street fighter v tournament?